I am on the road all day, every day and I still manage to make healthy choices. My secret is preparation. I take a little time each Sunday to make and portion out food for the week. It doesn’t take that long and I put on hulu and watch the TV shows I never have time to watch. (This week I watched a few episodes of “Raising Hope” – great recommendation Chrissy! Sooo funny). I use 100% egg whites sold at any supermarket b/c it is easier. 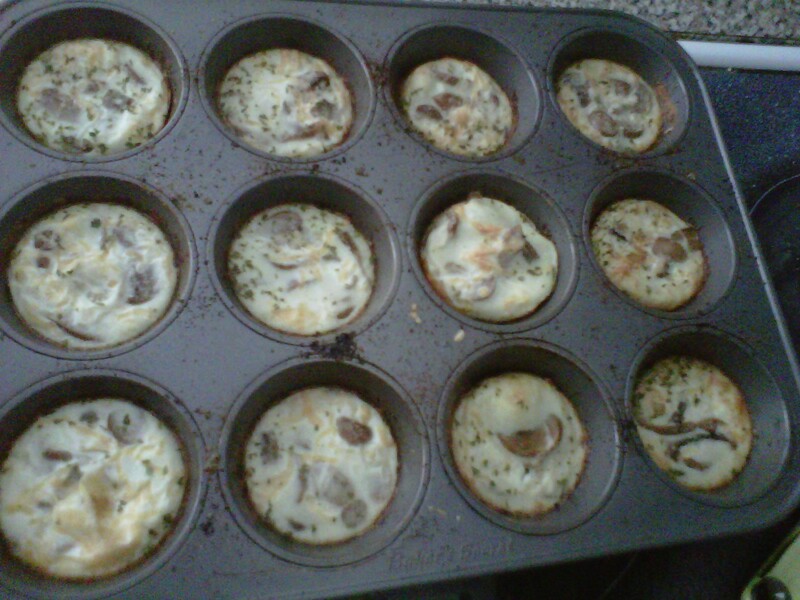 MUFFIN TIN: Grease muffin tin -I use my olive oil misto but you can use pam or whatever. *Pouring the egg whites into a muffin tin, fill each about 1/2 way full. *Add veggies: I like mushrooms but spinach, tomatoes, onions, carrots – whatever is fine. Cool before removing from tin. Store them in tupperware (use wax paper if you need to stack them to prevent sticking. In the morning, toast an english muffin or 2 pieces of toast (I suggest ezekiel bread but at least choose 100% whole wheat or grain) you can pop 2 of the little egg white patties in the microwave for a few seconds to heat them. The patties fit perfectly on an english muffin or pieces of toast.